SOOO HAPPY to live close to one of Miami’s Marinas, I enjoy living in a tropical location where the weather is sunny, warm and HOT. Many people complain about the humidity, and yes, I know it often feels like a sauna, haha, but so what? 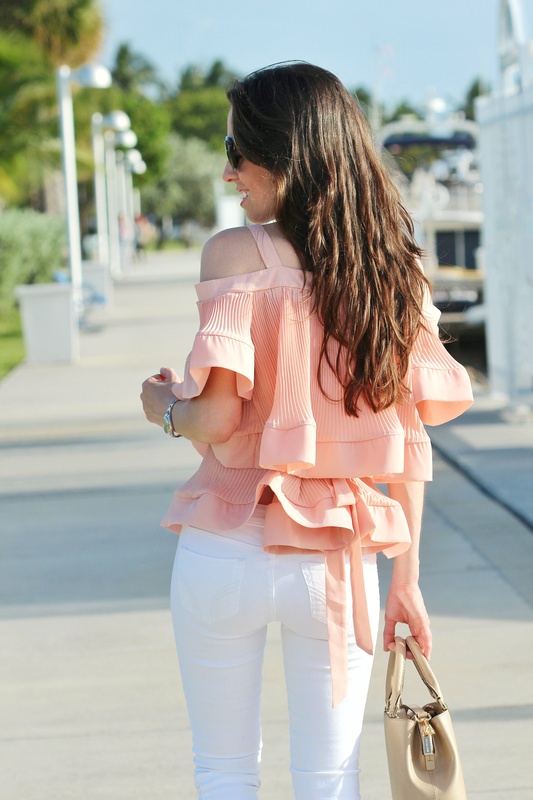 Ruffle blouses are statement pieces that are seen e-v-e-r-y-w-h-e-r-e this season. They come in a large variety of colors, fabrics or textures, and even with multiple layers – like this beauty!!! This tiered blouse from STORETS definitely wins in the ‘ruffles’ category, haha – I am in love with how graceful it is. 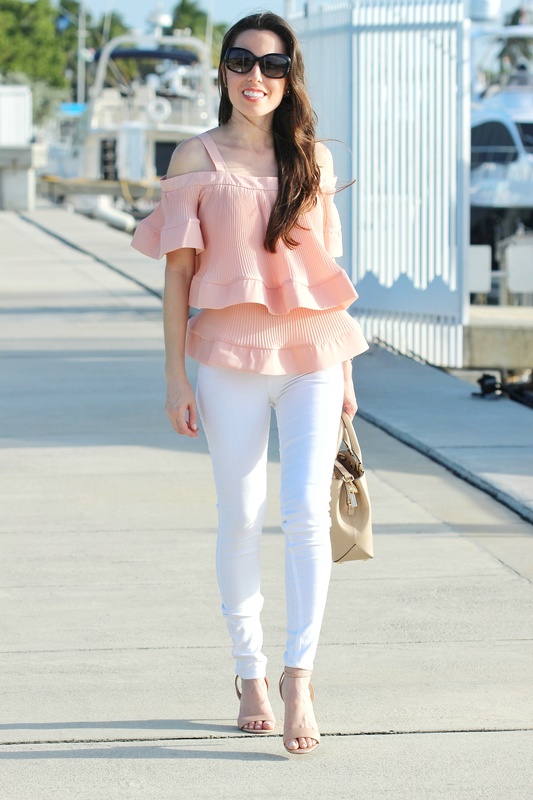 It is one of the most feminine blouses that I’ve seen this spring. It also comes in yellow (here) and black (here), take a look! I always pair mine with white slim jeans for a crisp chic look. Also, since the top is a bit wider than most, gotta wear something narrow at the bottom – to keep the look proportional. 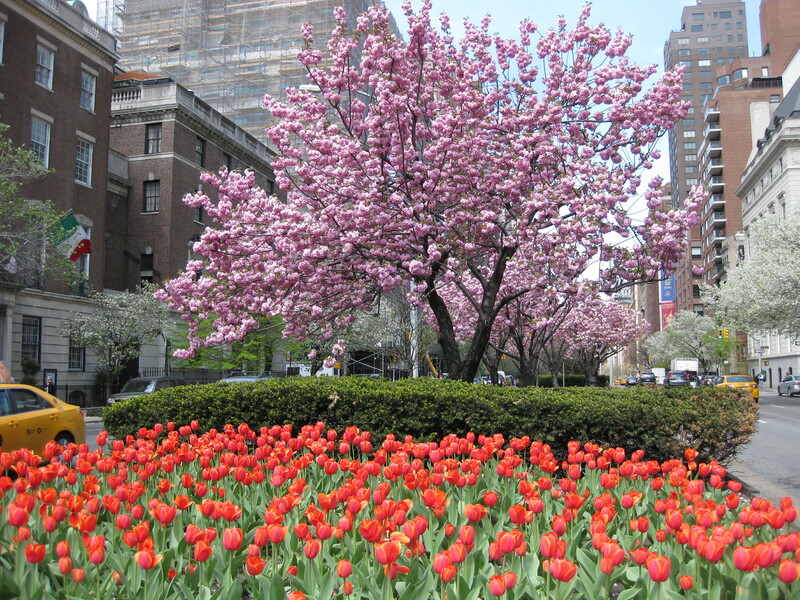 Have a great weekend, lots of love!